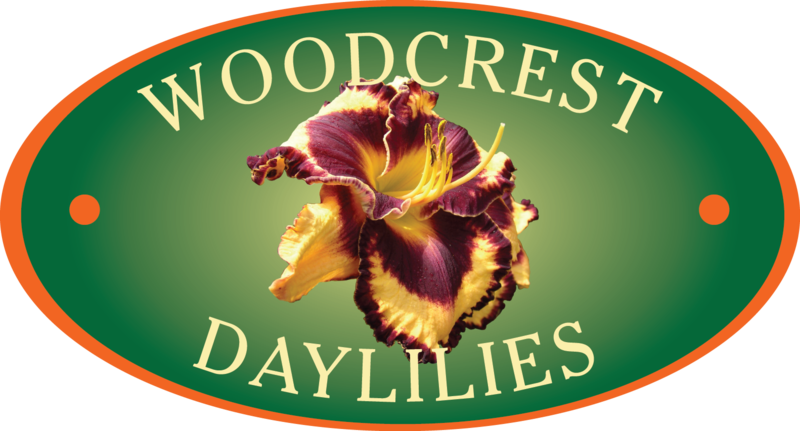 Woodcrest Daylilies LLC is a licensed Daylily Nursery with themed garden display beds, open to the public for tours. 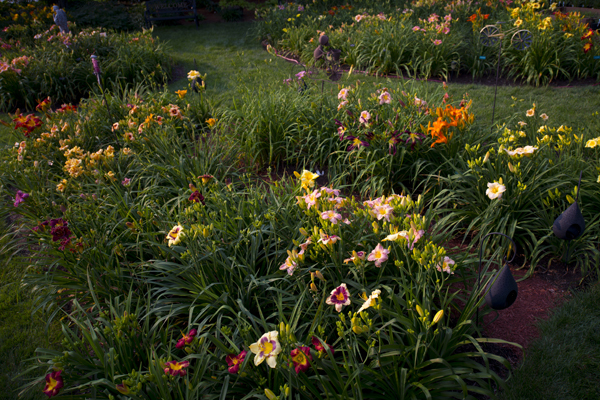 Daylilies, as their botanical name "Hemerocallis" implies, are "beautiful for a day" perennial, flowering plants. Even though each bloom only lasts for one day, plants have several "scapes" (stems), that can average 10 to 16 or more blooms, allowing that plant to flower with color for many weeks. 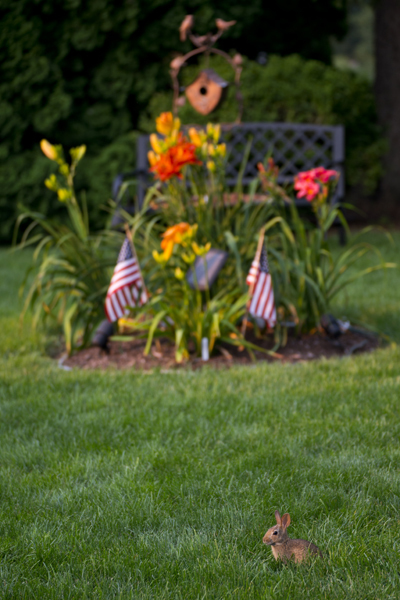 Many plants will even have "re-blooms" to keep your garden filled with beautiful color throughout the entire summer and well into the fall season! 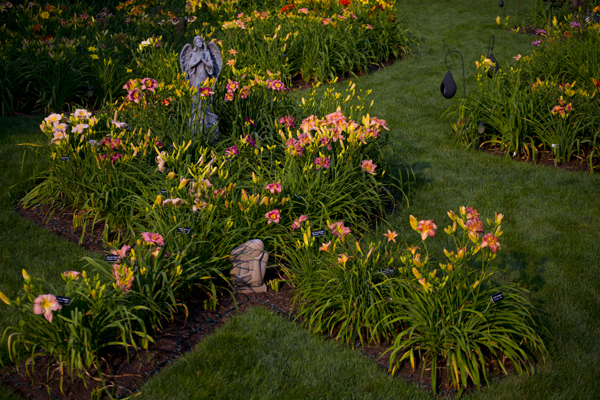 Native to Eurasian countries, Daylilies are very hearty plants that require very little care, providing spectacular beauty for even the novice gardener. 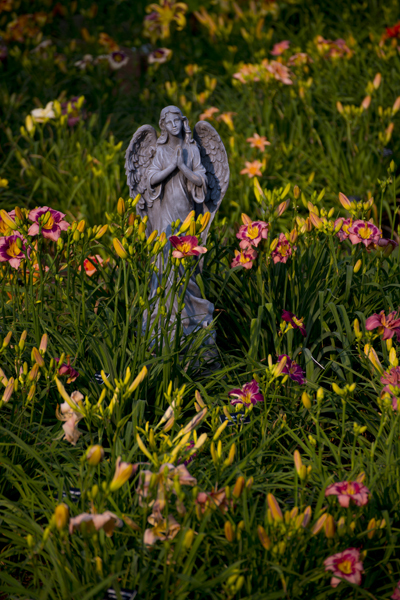 Our themed, display gardens here at Woodcrest Daylilies are a prime example of how these very special plants can be used to beautify even the most typical, residential yard. For the past several years, Michelle Bingham and Denise Freeman, co-owners and creators of Woodcrest Daylilies LLC, have nurtured their garden to create the ever changing pallet of color Mother Nature has provided. Beds are meticulously arranged to highlight the broad selection of colors, petal forms and various plant heights available. 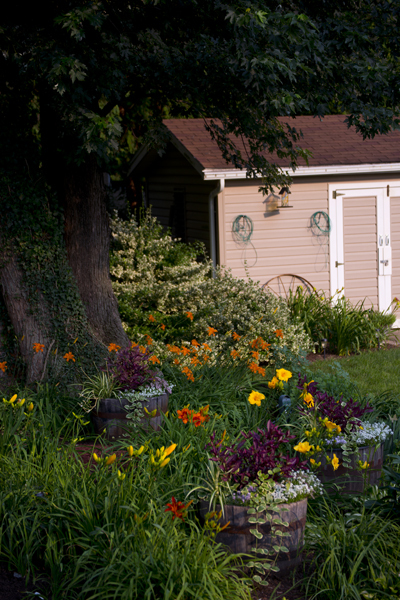 Our garden begins to bloom in late May and will be filled with beautiful color all summer long and well into the fall. Woodcrest Daylilies LLC., now has eleven themed beds and we are always working on creative ways to add new ones! The public is invited to stroll through our gardens Sundays in July from 9 am to 4 pm. Or feel free to stop by if you see us in the garden...we love visitors! 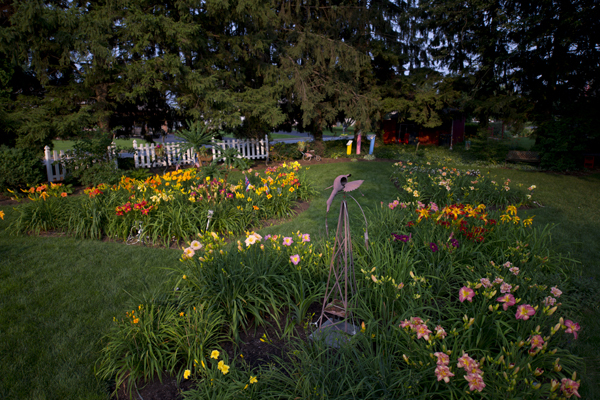 Or by appointment and we can help you pick out a favorite daylily to purchase for your own garden. Check out our "Schedule of Events" page for dates, times and locations of various events we have planned for the season. We can be found at local farmers markets and are a Pennsylvania licensed nursery. Please check our facebook page, https://www.facebook.com/WoodcrestDaylilies/, or our website for dates or call 717-626-6154 to make an appointment to visit our garden for a more personal tour. 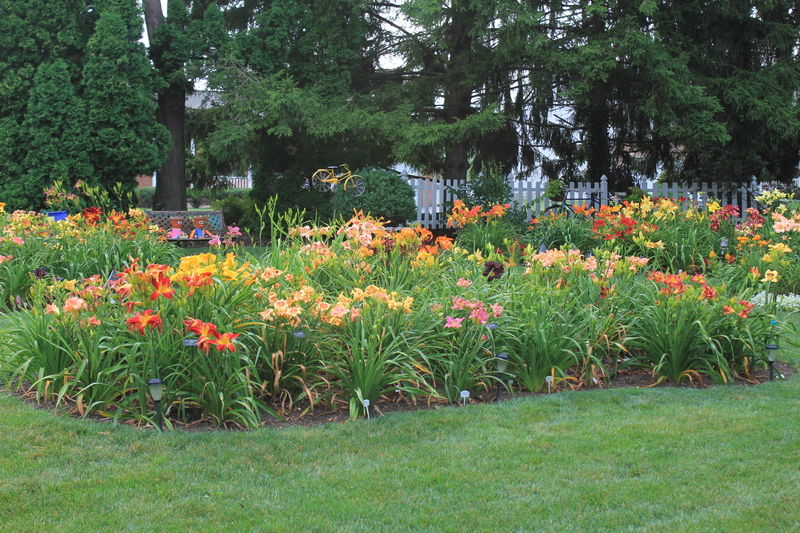 We are members of the American Hemerocallis Society (AHA), the Delaware Valley Daylily Society (DVDS) and are a Pennsylvania licensed nursery, with over 700 varieties of Daylilies. Our full sales inventory can be found on "Daylilies for Sale" page. Don’t forget your camera! Photographers love to visit our garden, especially during the peak bloom season in July! Painters are also welcome for some “En plein air” painting. 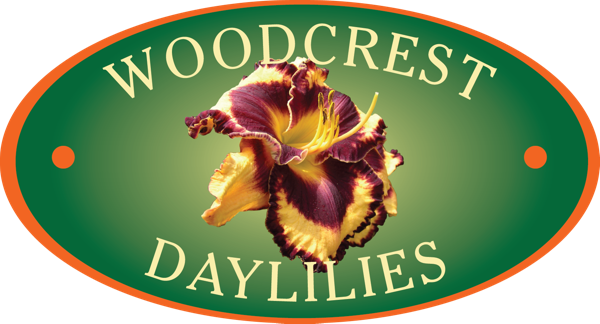 Visit Lancaster County Magazine website to read this featured article on Woodcrest Daylilies LLC! This site has been accessed 1895375 times.